WordPress Live Chat plugins allow your visitors to get in the touch instantly with you. As you know your instant support makes your client happy and doubt free to buy your service. People like their questions to be answered instantly, and any uncertainty with their purchase can result in losing the sale that’s for sure. Nowadays, every business has their contact page or their email address and social media accounts to get in touch with you to solve your customer’s queries. But this is not enough much, having Live Chat feature on your website not only give your users the opportunity to instantly get in touch with you, you can also increase your conversion rate by convincing and explaining your service who are still in doubt to purchasing your product or signing up for your service. Adding Live Chat plugin to your website is not a big issue, the problem is which Live Chat Plugin is best for your website to full fill your needs. That’s why bring out the best paid and free Live Chat plugins for WordPress that are easy to install and setup. To learn more visit this page, how to setup Zoho SalesIQ with WordPress. The best thing about SalesIQ is that You don’t have to stay online on your computer all day long to provide live chat support on your site. SalesIQ comes with a pair of mobile apps for Android and iOS, which you can use to instantly reply to your live chat conversations no matter where you are and that makes SalesIQ more better than other competitors. And also SalesIQ allows you to monitor your website visitors in real-time and initiate chat sessions with users to help them make the right choice and answer their questions. SalesIQ has a free plan which allows even for small bloggers to setup a chat system on their websites without having to spend any money on expensive customer support services. You can easily manage your chat sessions and analyze user data using the SalesIQ dashboard without requiring any experience. In short SalesIQ is simple and easy enough for even a beginner to setup a live chat system on their website without any help from developers. Tawk.to is a free live chat software which integrates seamlessly with WordPress and Magento! More than 250000 companies use tawk.to to provide real time support and service to their customers. Never lose another lead or sale again, with tawk.to you can monitor and chat with your website visitors when they need it most. Now you thinking how Twak.to generate revenue from their free software. They put their branding on chat widget and if you want to remove Tawk branding from the chat widget, you’ll have to pay at least $12/month. In our opinion, we recommend this Live Chat plugin for WordPress for any small and big websites. Just Create a free account on Tawk.to and setup Tawk.to with a WordPress site. Tidio Live Chat makes it easy to get live chat setup on your website. It’s easy to use, optimized for mobile users and it’s easy to customize the chat window to really stand out and attract the attention of your visitors. You can integrate Tidio Live Chat with WordPress, Shopify, Joomla, Wix, Weebly, Drupal, BigCommerce and more. Now one really cool feature which I’d like to tell that as you typing your reply, your visitors can see operator is typing their message. So you won’t see exactly what they’re writing on the basic plan, you have to upgrade to Communicator subscription so you can actually see what the visitors are typing in real time before they send you a message. WP Live Chat Support another simple and free Live Chat plugin for WordPress. This feature-rich Plugin is perfect for small and beginner businesses. In case, you’re unable to chat to a customer for any reason, offline messages are sent directly to your inbox. Similarly, if a visitor leaves the chat, you can come back and continue the chat where your user left. Another great feature of this Live Chat plugin is that you can add as many agents as you need, there are no limits. The easiest way to install this plugin is straight from the WordPress Repository. Type “wp live chat support” into the search box. The list of applicable plugins will appear automatically. Simply install and activate the plugin, and you’re ready to go. Another handy and great Live Chat plugin name LiveChat as the implies. We love this tool just because of the loading speed of the backend and clean menus. 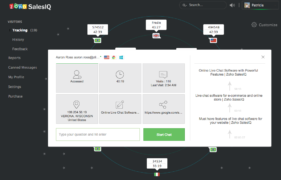 LiveChat specially made for big E-commerce and service selling websites who need more features to full fill their requirements, on other hands ordinary live chat software can’t compete with this tool. And of course, that’s why LiveChat is very expensive than other softwares in the market. 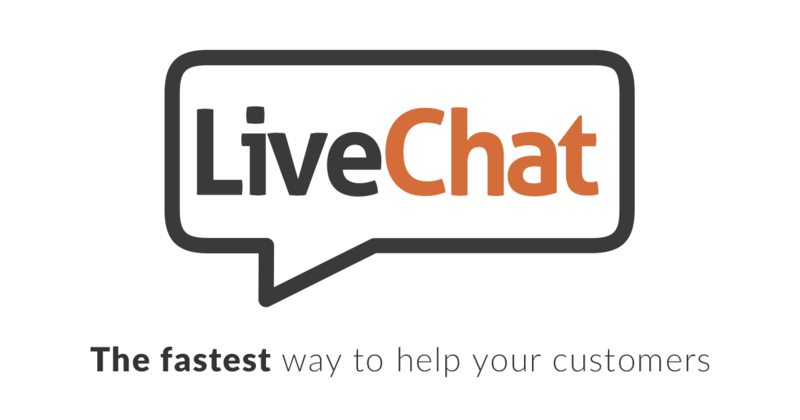 We recommended this live chat plugin, If you are a team that wants to always be a step ahead of competitors, then LiveChat is for you. Nobody wants to wait for an answer to your question a day, or even two if all the problems can be solved immediately. You of course heard about Zendesk, Zendesk Chat is the leading Live Chat software in the market. 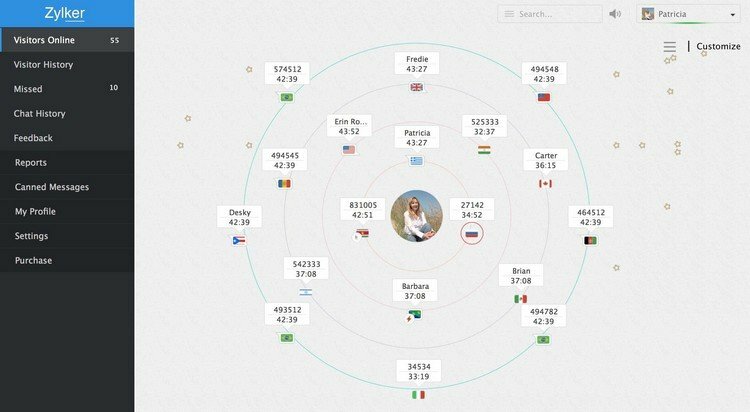 Their wide range of features makes it a bit more complex than other live chat tools. And that makes it an interesting option for small and medium-sized businesses. Zendesk Chat is the perfect tool to engage customers and interact with them in real time, which will also help your branding strategies. One thing Zendesk will certainly make easy is automating chats and making sure customers know you’re there long before they’ve arrived to their first question. Zendesk Chat offers three pricing plans plus a free version for individual users and freelancers for small websites. There are no hidden fees within their simple pricing scheme, and an examination 14-days trial is also available for free.